Do you like the thought of making money while you sleep? Of not having to make an order till you’ve already been paid? Or how about having your weekends all to yourself? All of these reasons – and more – are why I personally LOVE selling my jewellery online. The invention of the internet has made growing a successful handmade business more accessible, more possible, and more convenient than ever before. I’ve done it – and it wasn’t even imaginable to me 10 years ago when I started that I could be making a full-time living from selling my handmade jewellery online. But I am. And I know thousands of other makers and artisans are doing exactly the same. How are we doing this? By creating enticing, well-functioning, cohesive, and professional online shops to sell our craft all over the world. Selling your work online has SO many benefits. In this episode, I outline 7 reasons why you might want to sell your craft online! If the thought of setting up online is overwhelming… I’ve got you. I’ve taken over 1,000 makers through my flagship course, Set Up Shop. Actually, it’s more than a course: Set Up Shop is an integrated system of lessons and projects that will take you from having no knowledge whatsoever about selling online, to knowing everything you need to know in order to get your shop set up right – right from the start. 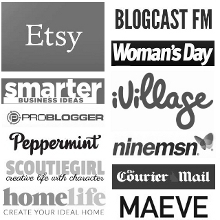 Do you want to learn how to set up your own online craft shop and get it right, first time? Want access to a proven system that over 1,000 makers have used to set up a stellar online shop?